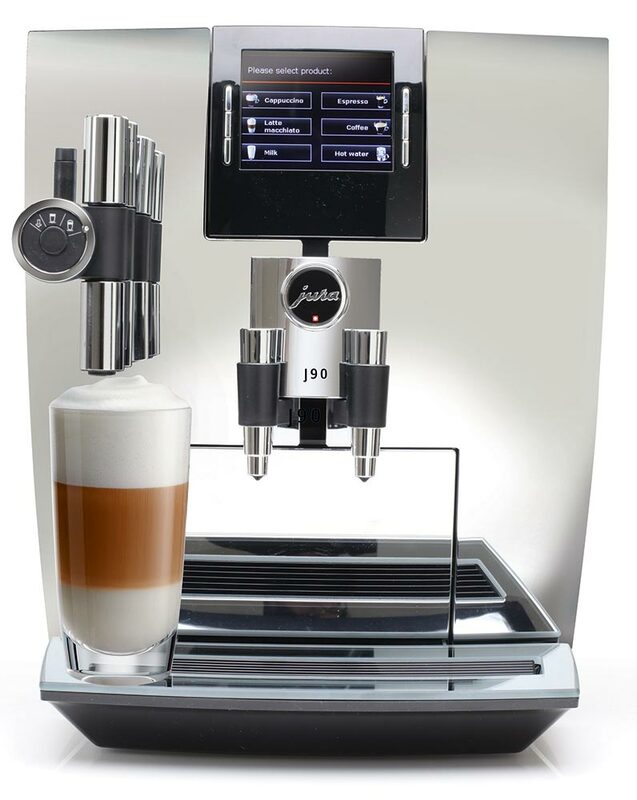 The Refurbished Jura Impressa J90 automatic coffee center incorporates the TFT display technology (Thin Film Transistor). The TFT 2.75" wide color display combines text and graphics, making the Jura J90 even easier to use. Use the TFT display to select your drink choice and then press a button for a delicious specialty coffee drink in under a minute. 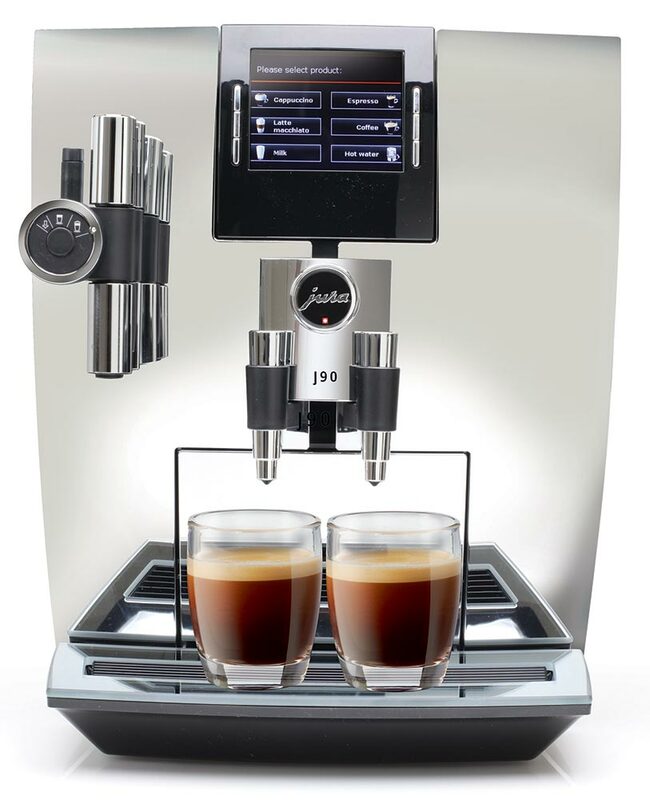 The Jura Impressa J90 has a special Chrome finish with elegant glass cup platform. 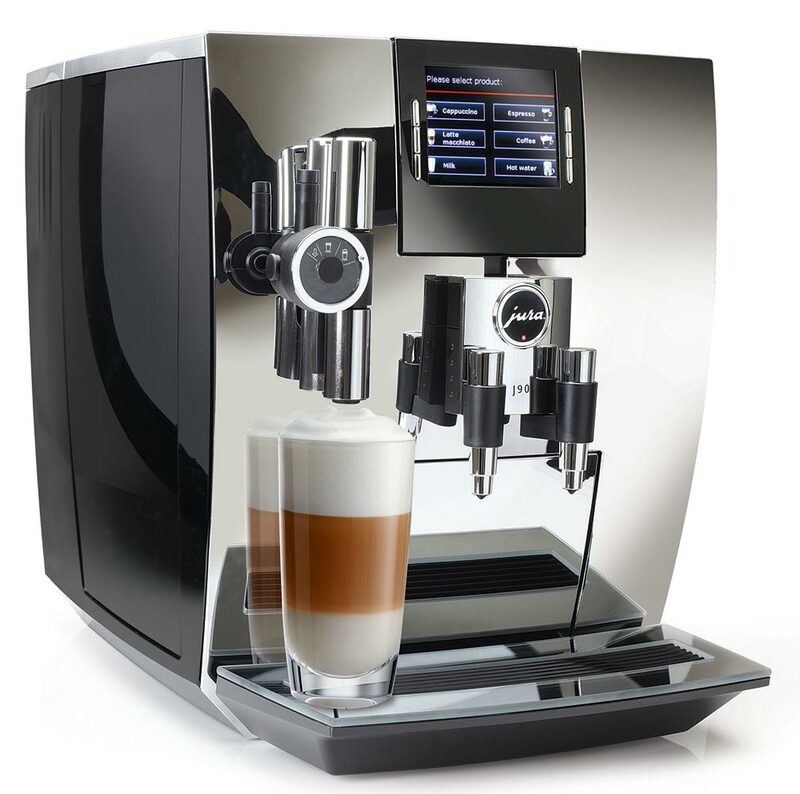 The Jura J90's new user interface sets a new standard. Simply turn the Rotary Switch and a list of coffee drinks appears on the color TFT display of the automatic coffee center. All you need to do is press the button once, and you will soon be drinking your specialty coffee choice. You can even personalize the look of the Impressa J90 by selecting wallpaper for the TFT display. The colorful choices include red coffee berry, blue sky with clouds, roasted coffee beans, white coffee flower, green leaves, white background, tan background and green coffee berry designs. The height of the cappuccino spout on this automatic coffee center is adjustable between 4 and 6 inches. The coffee spouts are adjustable between 2.5 and 4 inches. The coffee spouts are also width adjustable. This allows you to create the perfect drink in both a small espresso cup and in any glass up to 6" tall. Works with all Jura milk storage options. 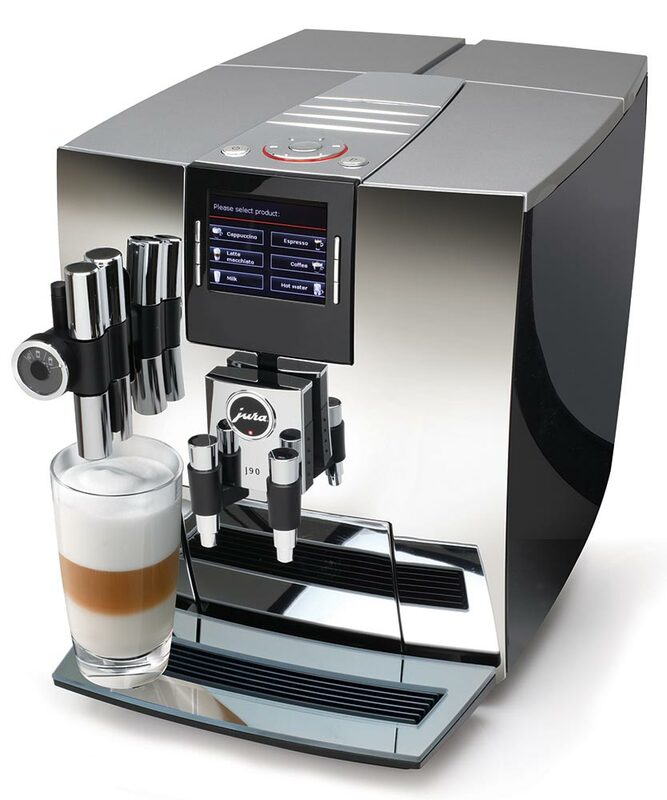 The revolutionary new fine foam technology in the Jura J90 automatic coffee center ensures excellent fine, feather-light milk froth for your cappuccinos. It also provides a steamed milk setting for latte macchiato. Just received my Jura coffee maker and I love it! Such a beautiful machine and it makes a terrific cup of coffee. Can't wait to make my first latte! This is the fourth Jura I've bought from 1st in Coffee. All refurbished because you can't beat the price. Fast, fast shipping and delivery. I am happy every time and have given these as gifts, bought for my office and home. If you're a coffee snob like me you need a Jura and 1st in Coffee is the place to buy it. Need to learn how the thing works beyond just coffee. Excited to have this great machine. The coffee is the best! !